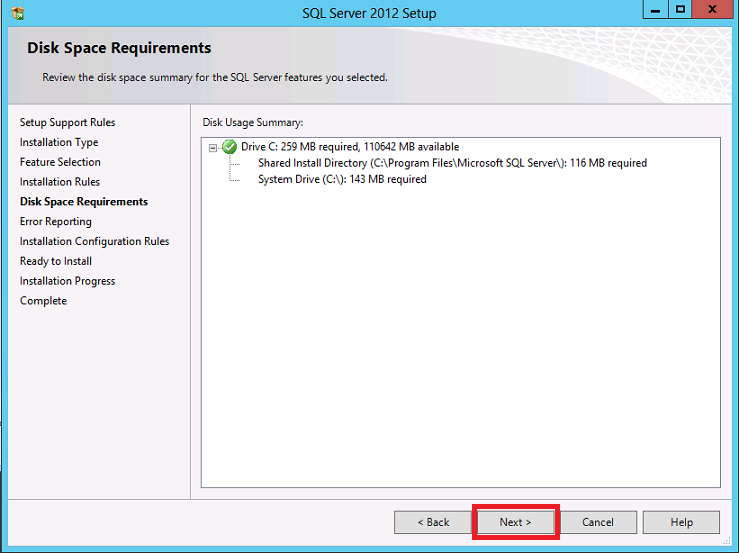 Applies to: SQL Server 2012 Enterprise Edition, Windows Server 2012 Standard Edition. 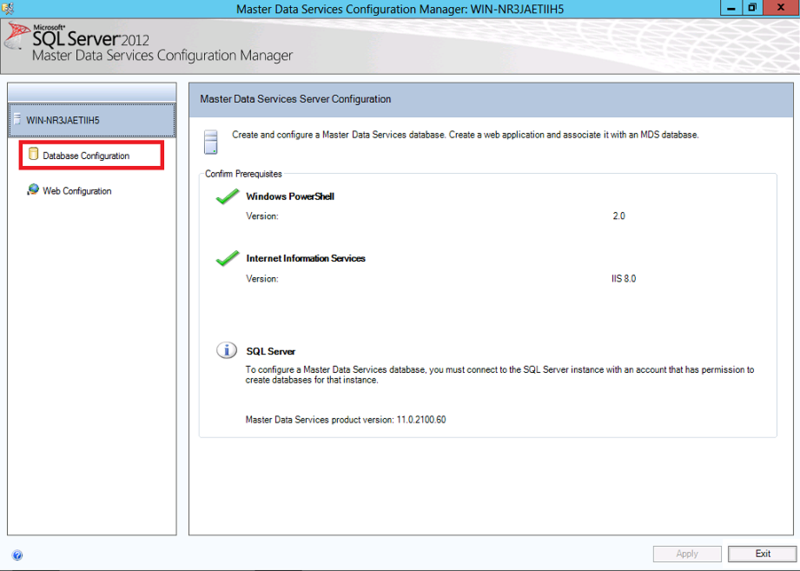 This article is about how to add Master Data Services (MDS) to an existing SQL Server 2012 instance. Before starting the step-by-step procedure make sure each requirement for MDS has been met as explained here. 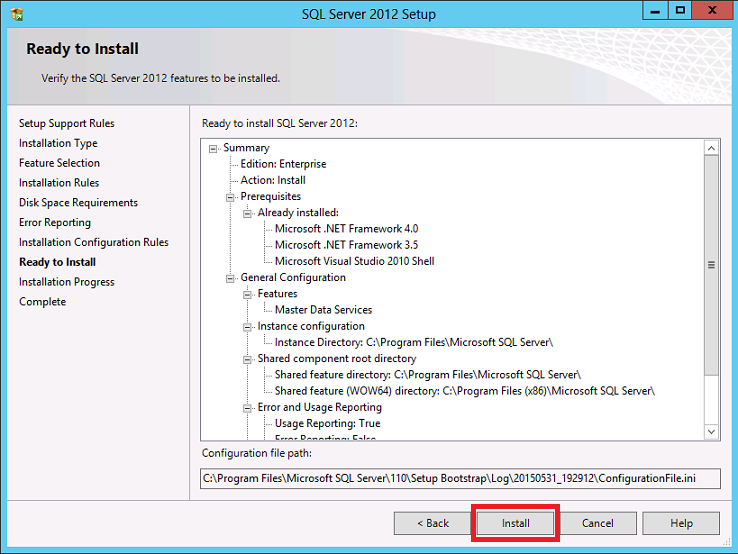 Next, run SQL Server setup program from the SQL Server installation media, select the Installation option in the left-hand navigation area, and then click on "New SQL Server stand-alone installation or add features to an existing installation". Below you will find the first set of Setup Support Rules. 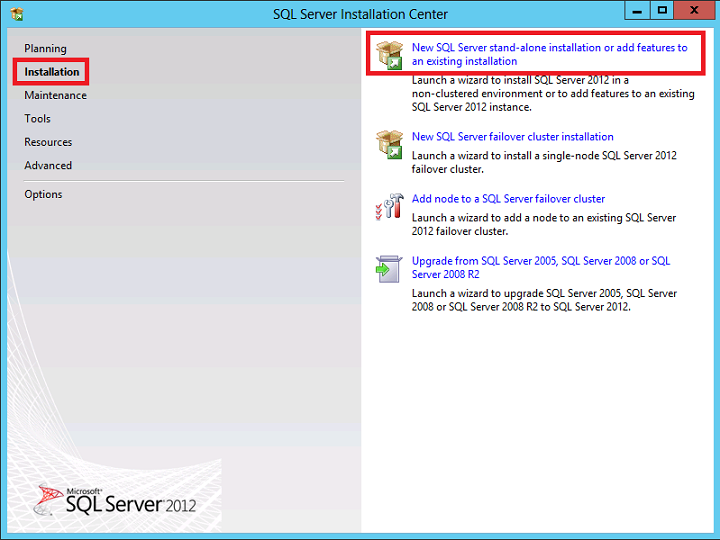 The Next button is available only if all check results are successful, or if failed checks do not block installation. Error 0x80240042: Exception from HRESULT: 0x80240042." Click on the Next button if you get this error on the Product Updates screen. 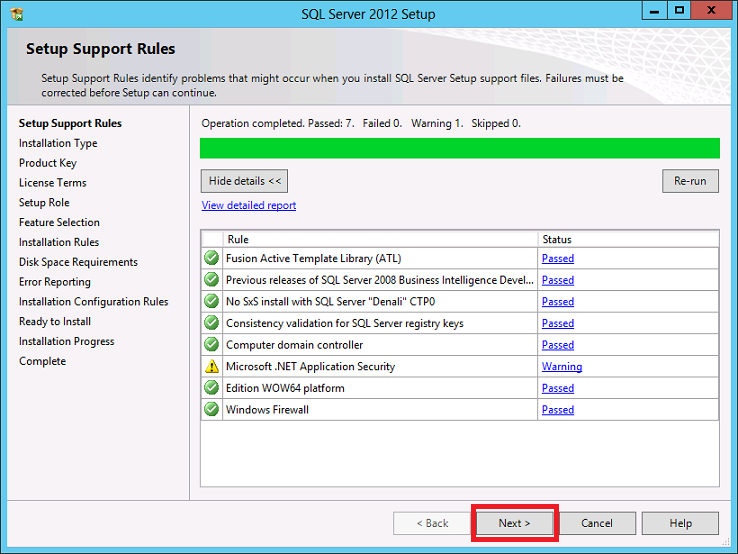 The below screen belong to the second set of Setup Support Rules. 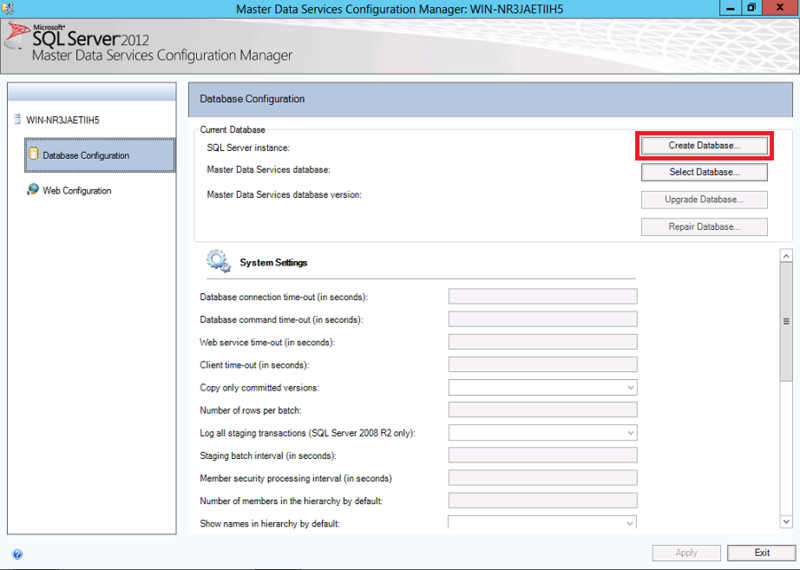 About the Windows Firewall warning, you can go ahead with the installation of SQL Server, but when it finishes configure your Windows Firewall to allow SQL Server access or disable it. 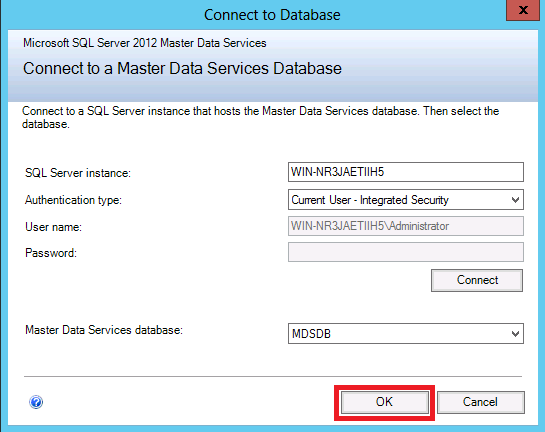 Click here to know how to configure Windows Firewall for SQL Server access. 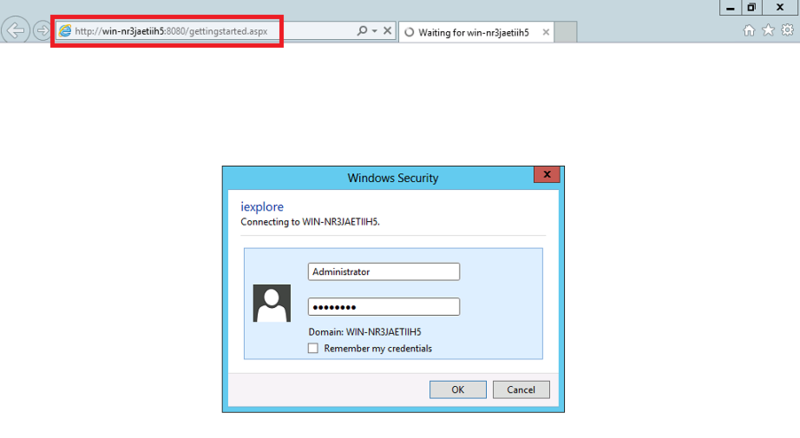 About the Microsoft .NET Application Security warning, Setup Support Rules verifies Internet connectivity and triggers a warning if there is no Internet connection. The reason to check for Internet connection is "because .NET always tries to connect to CRL.MICROSOFT.COM on startup to check signature validation.". For more information click here. 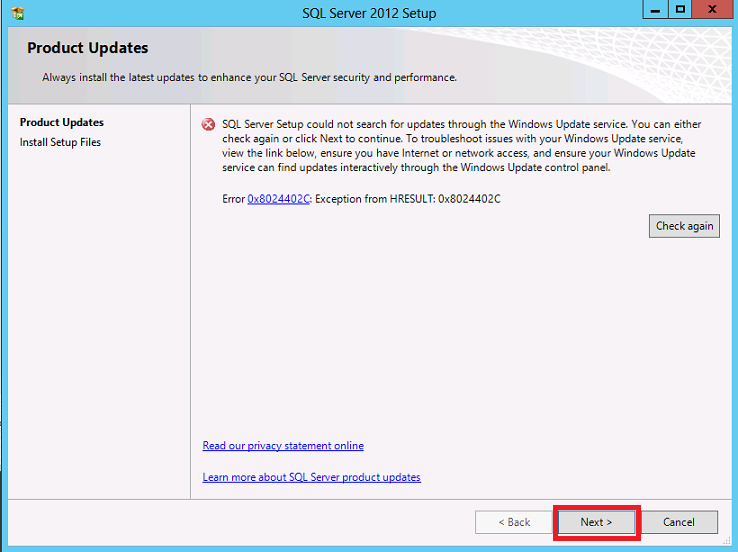 Neither of these warnings will prevent you from continue to the next screen of SQL Server setup program. 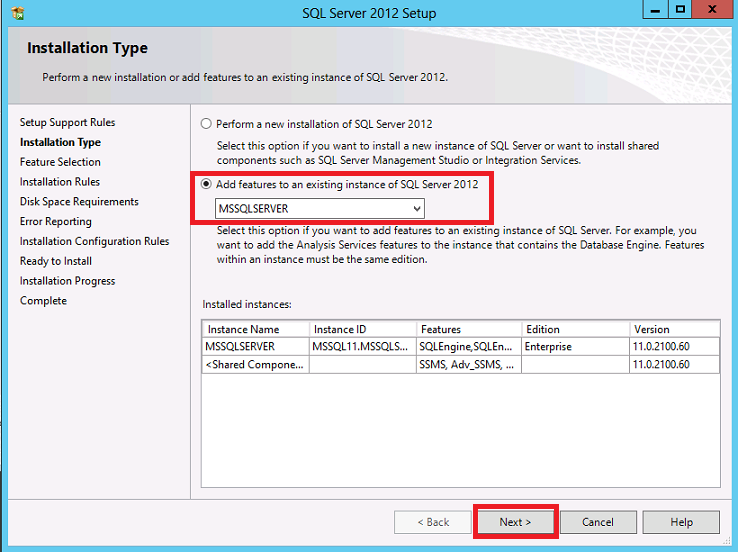 On the Installation Type screen, please select "Add features to an existing instance of SQL Server 2012". 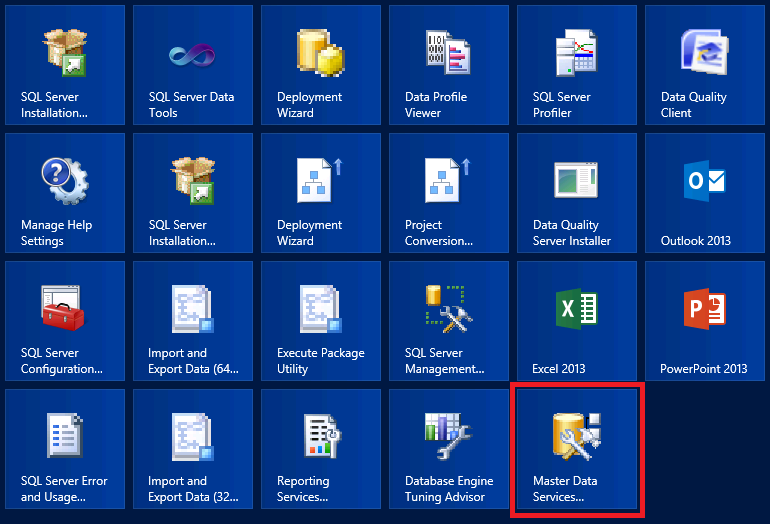 Now, on the Feature Selection page, select the Master Data Services feature. The Disk Space Requirements page is just for the purpose of reviewing disk usage. Click on the "Next" button to continue setup. 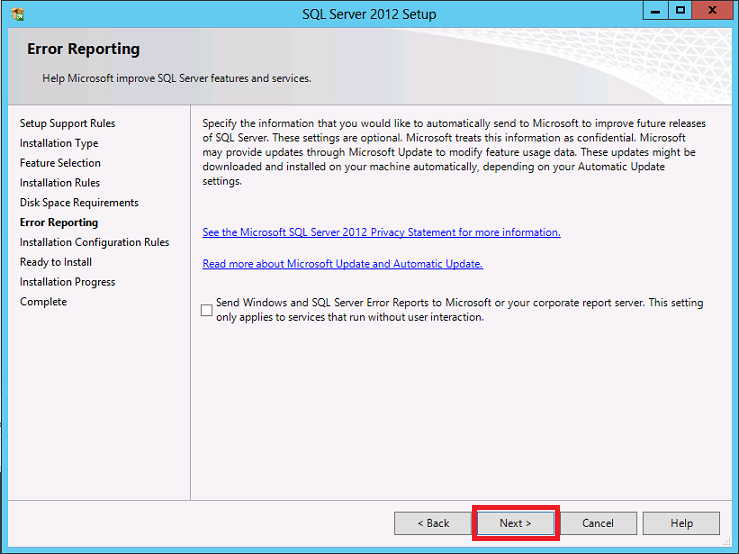 On the Error Reporting page, optionally clear the check box to disable error reporting. 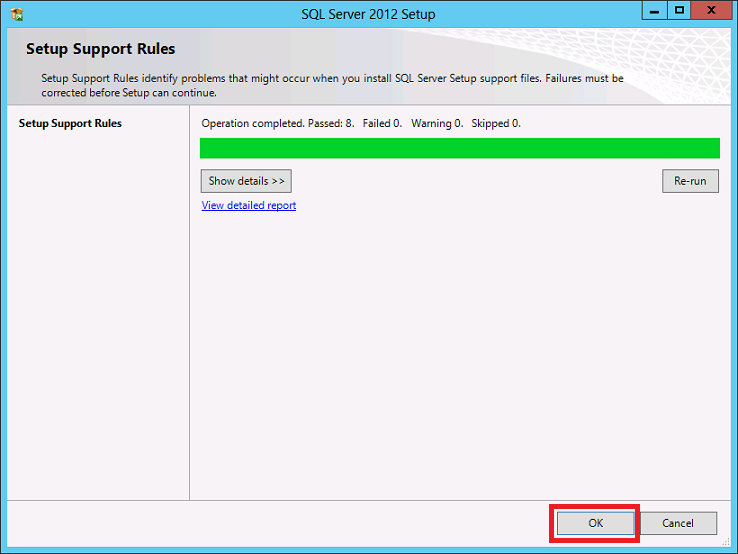 The below dialog belongs to the Installation Configuration Rules. 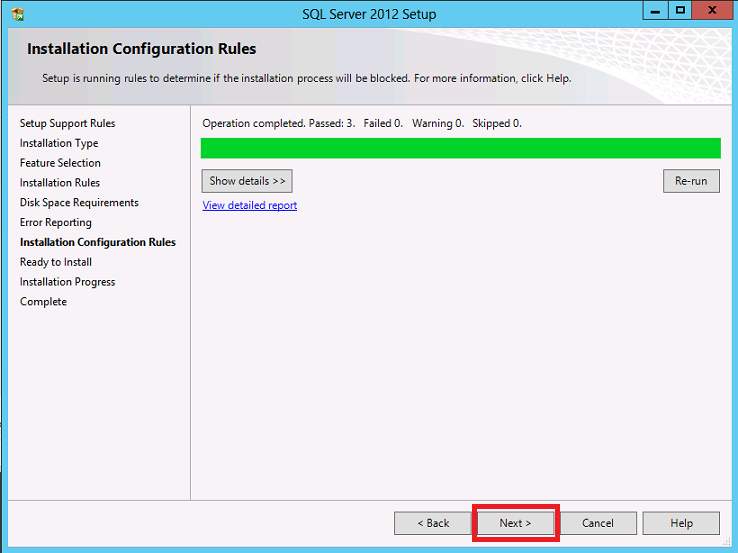 Setup will be running these rules to determine if the installation process will be blocked. 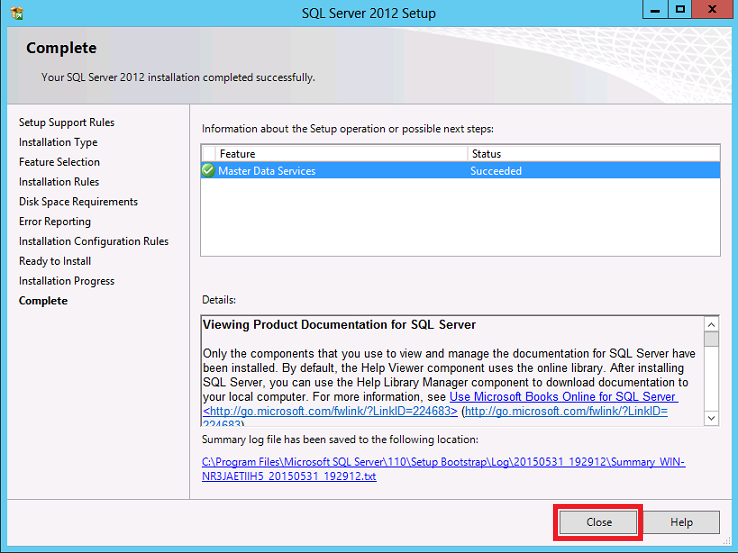 On the Ready to Install page, review the summary of features and components for your SQL Server installation. To proceed, click Install. 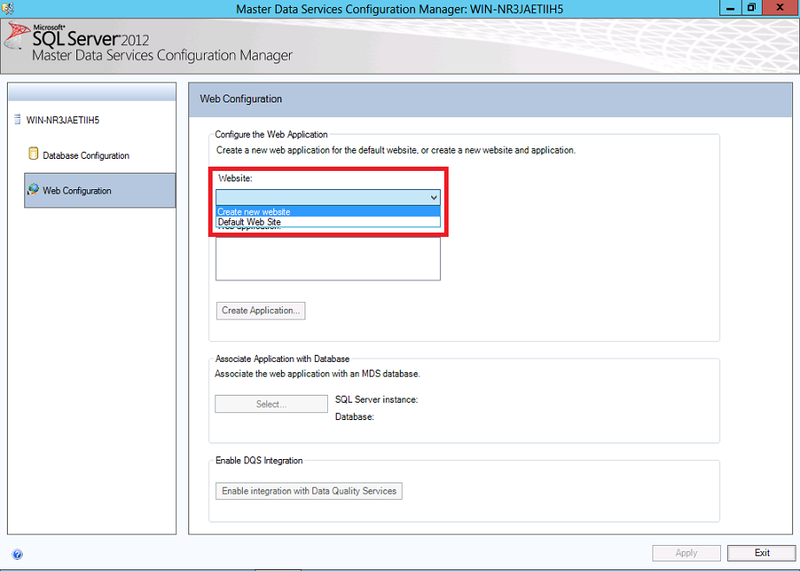 Once the installation has finished, let's open the Master Data Services Configuration Manager. 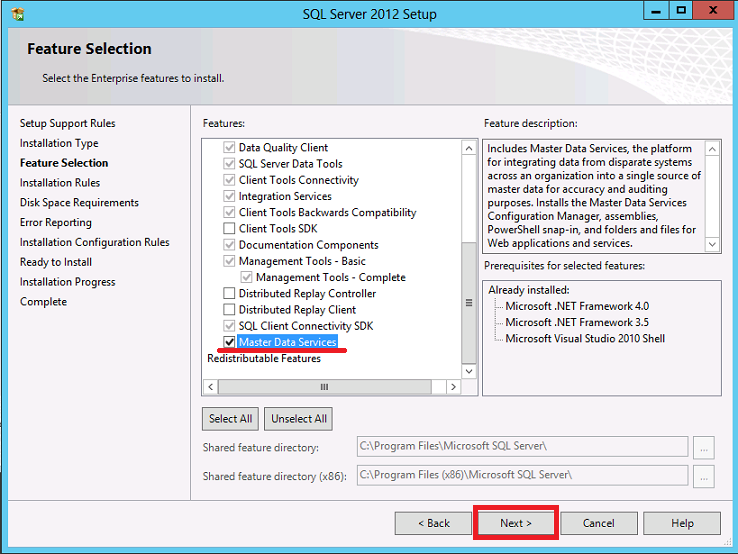 Let's proceed to click on the Database Configuration option of the left side panel. 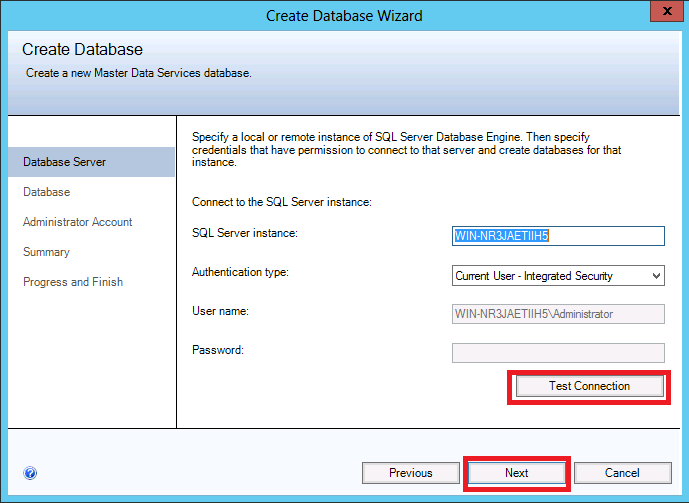 On the Database Configuration section, please click on the "Create Database" button to open the Create Database Wizard. 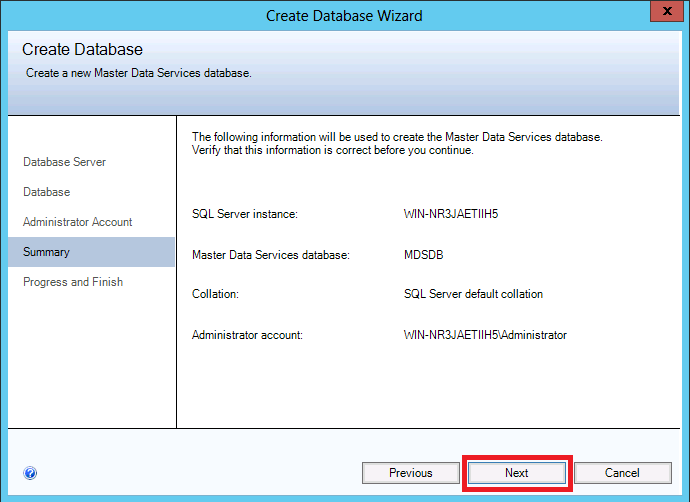 On the welcome screen of the Create Database Wizard, please click on the Next button. 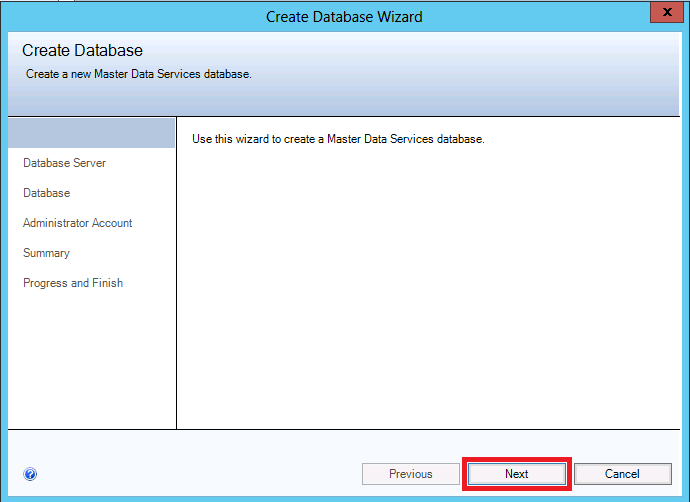 On the following screen of the wizard, you have to provide credential to connect to the database instance with enough permissions to create the MDS database. 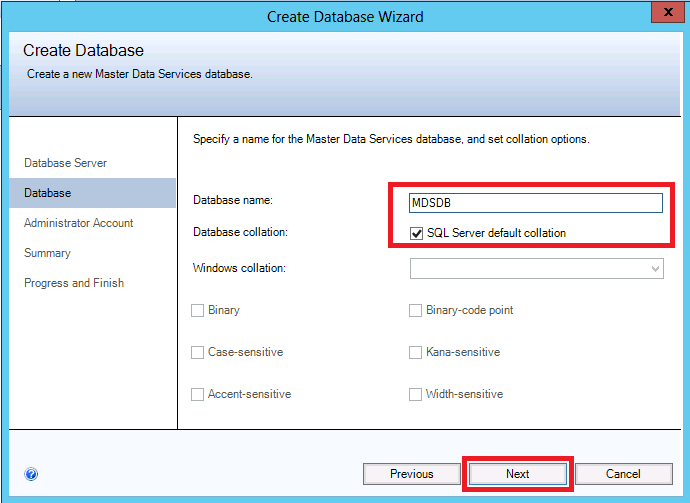 The next screen on the wizard is intended to provide the name of the Master Data Services (MDS) database. 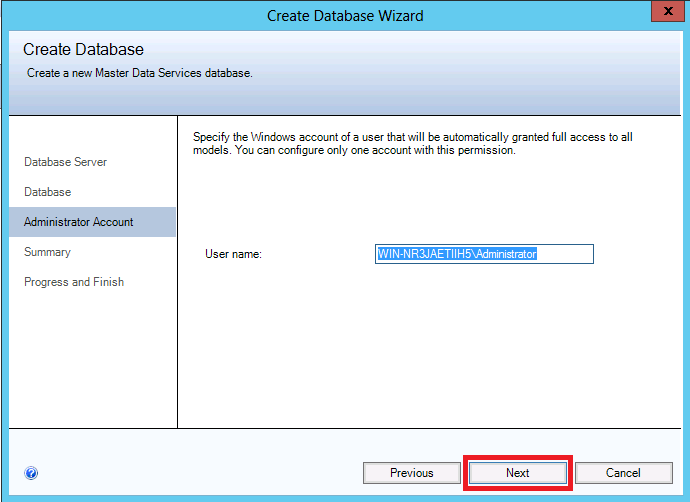 Now on the following page of the wizard please provide the Windows account that will have access to all models. 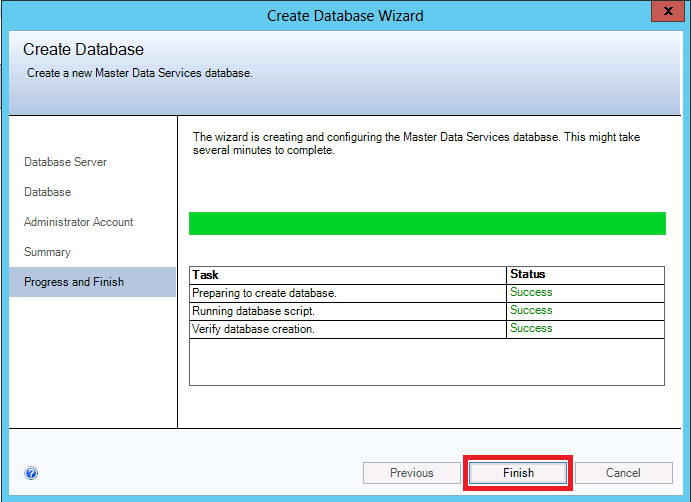 On the summary page of the Wizard just click the Next button to proceed to the creation of the database. 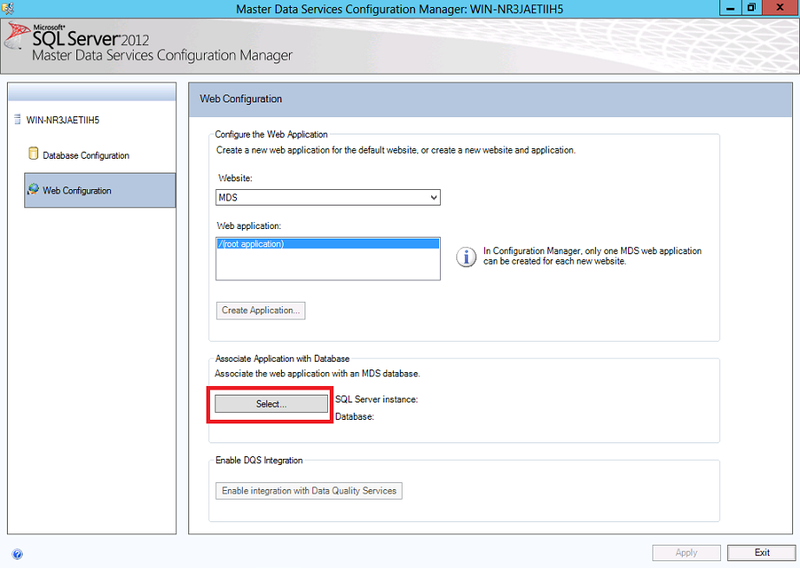 Now that the MDS database has been created, make a click on the Web Configuration option on the left panel. Let's create a new web site and application for MDS. 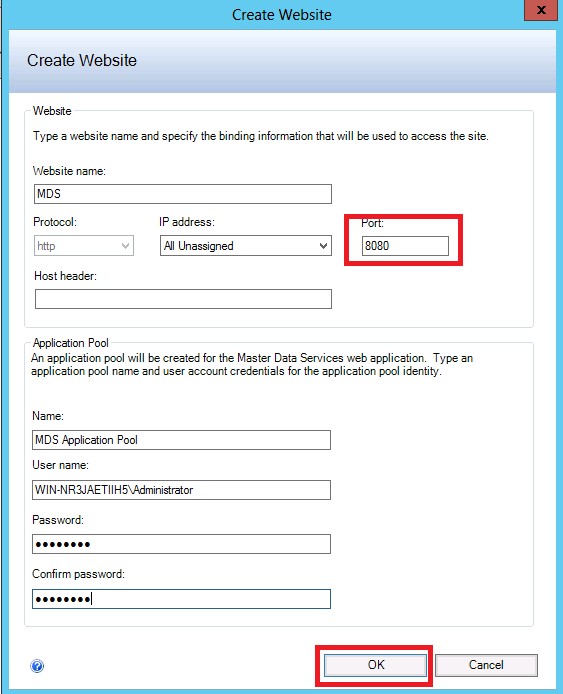 Let's assign a TCP port for accessing the MDS Web site. 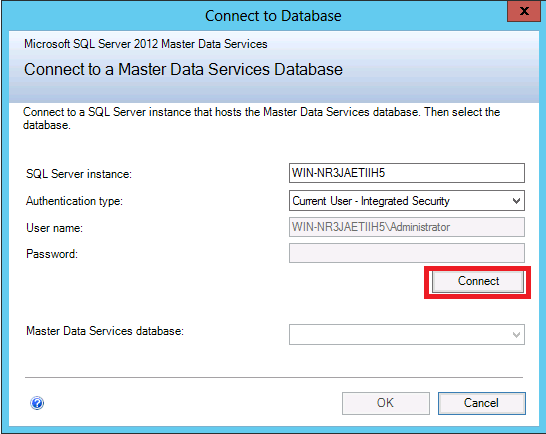 Next, let's associate the Web application with the MDS database by making a click on the Select button. 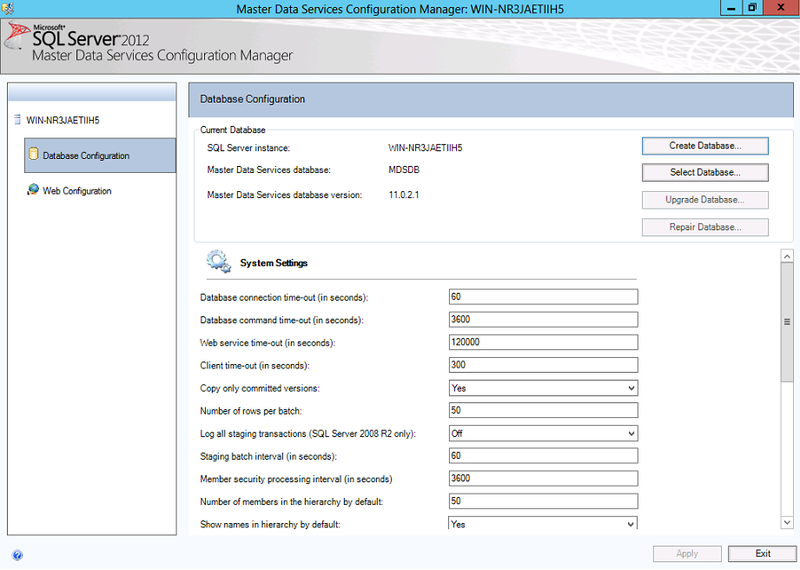 Provide credentials to connect to the SQL Server instances and select the MDS database. Finally, click on the Apply button to apply the Web application settings. 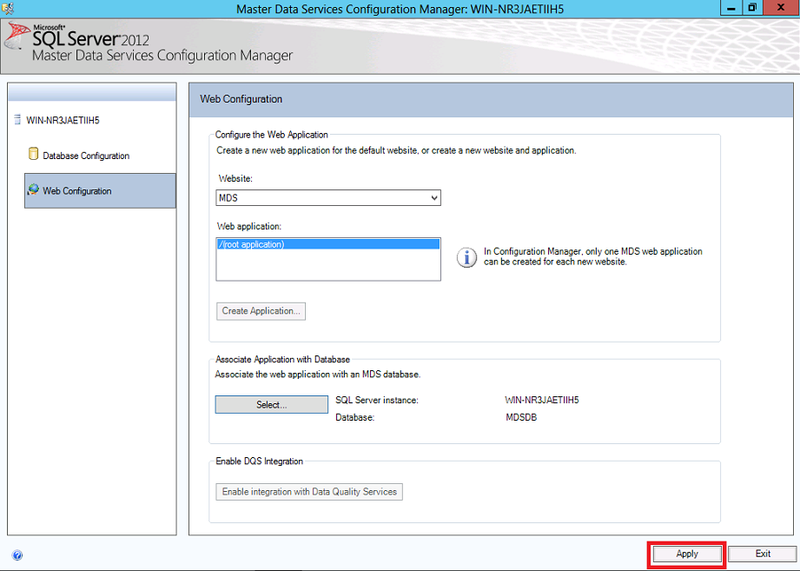 Now that we have completed the installation and configuration of MDS, let's open the MDS Web application using the computer name and the port we assigned to the application. Make sure you add this site to the trusted sites list on Internet Explorer. 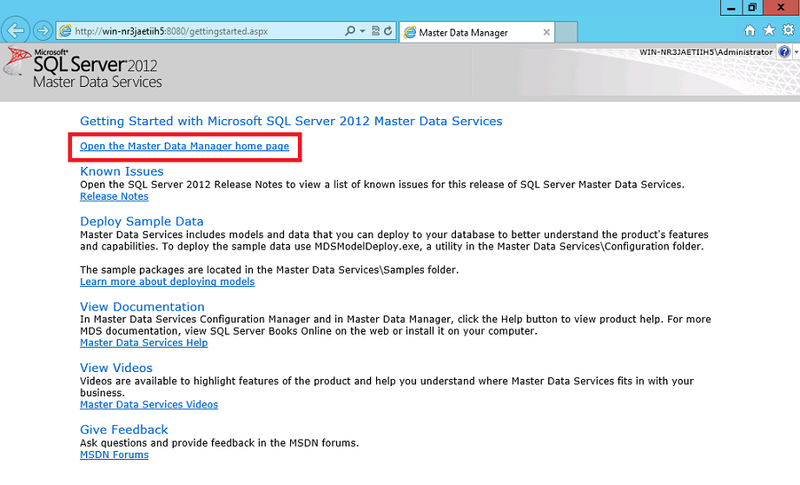 On the next screen, let's open the Master Data Manager Web application, where all the MDS models should be listed.